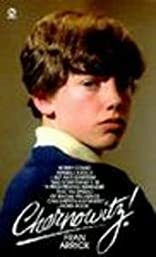 A boy who suffers anti-Semitic abuse at the hands of a classmate during his ninth and tenth grade years plots revenge against his tormentor. About Fran Arrick (Author) : Fran Arrick is a published author of children's books and young adult books. Some of the published credits of Fran Arrick include Chernowitz, Steffie Can't Come Out to Play.